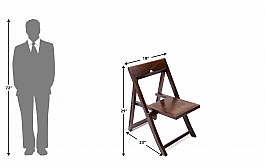 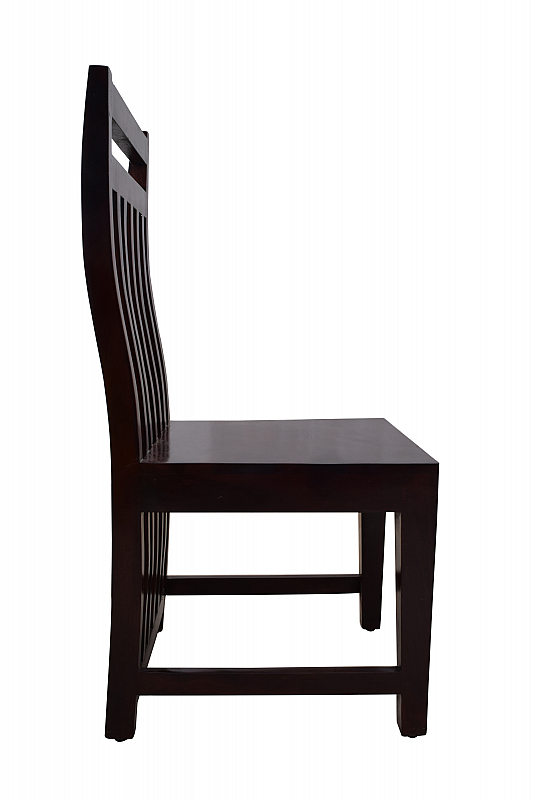 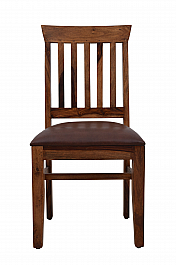 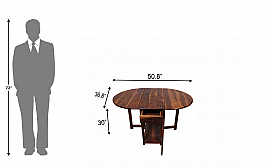 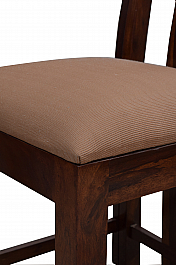 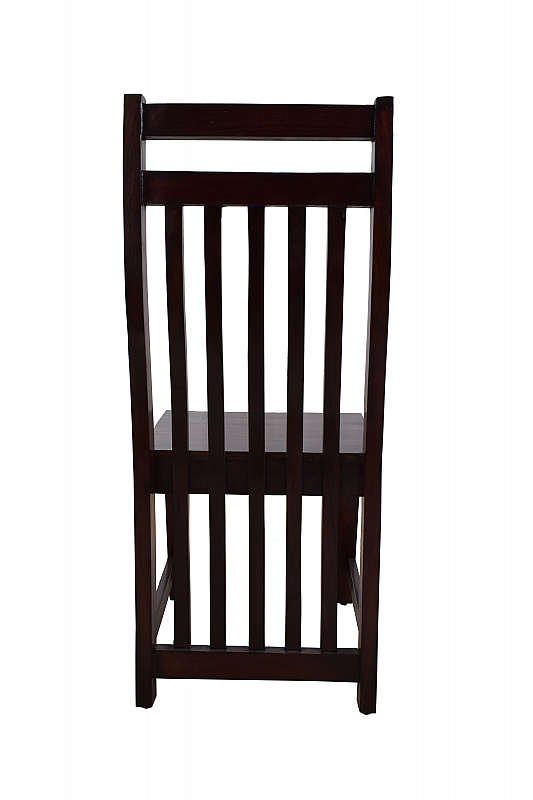 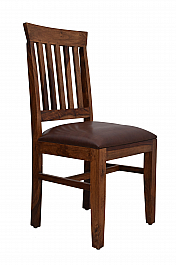 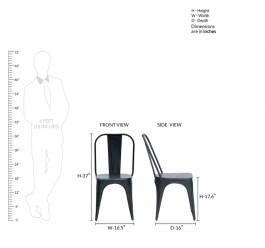 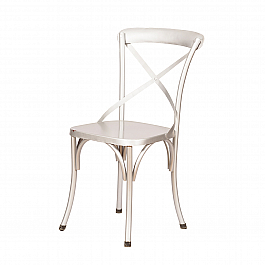 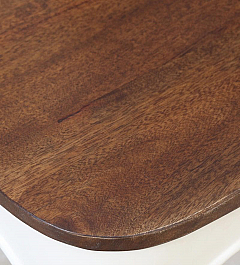 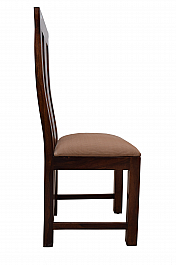 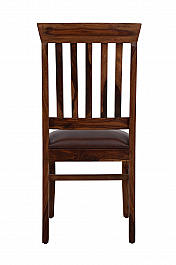 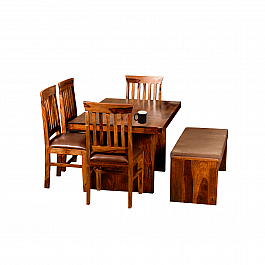 Bring home this slender-backed, compact and cozy dining set. 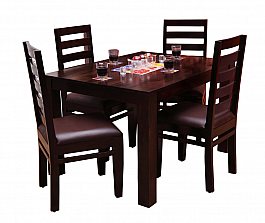 Make it the center of your parties and family gatherings. 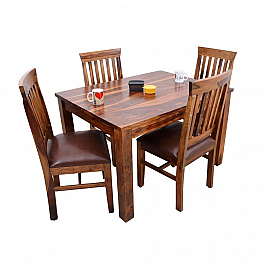 Or simply, use it to plan special meals for your close friends. 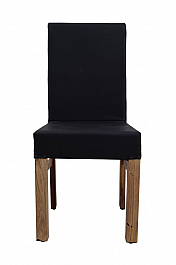 Use an elegant black and white wall paper against it to bring out it's full personality. 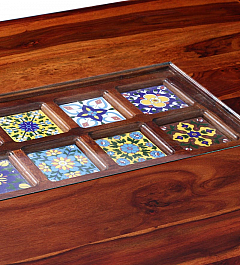 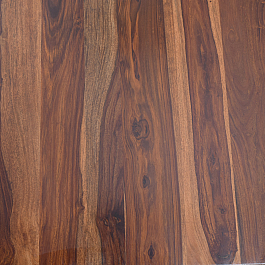 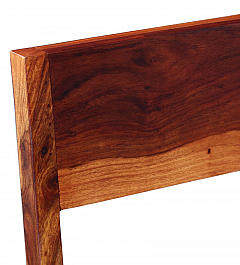 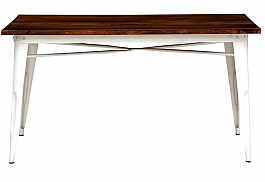 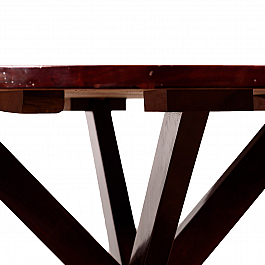 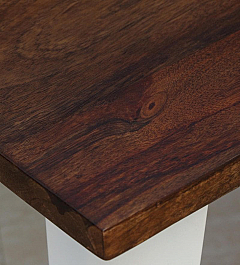 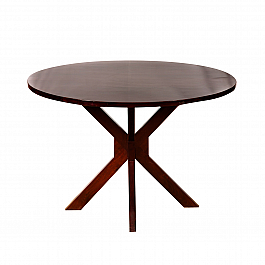 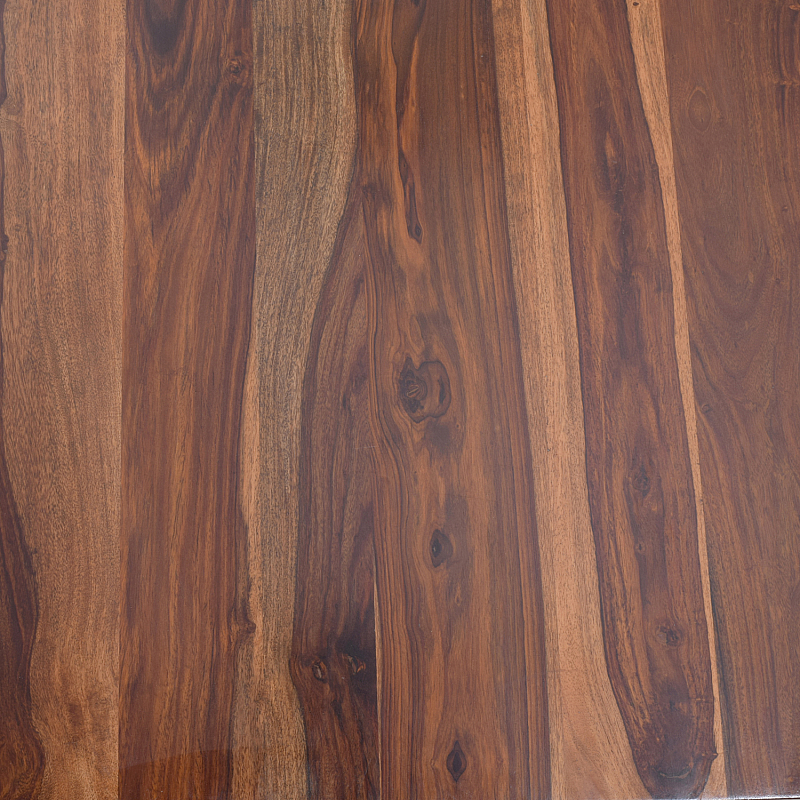 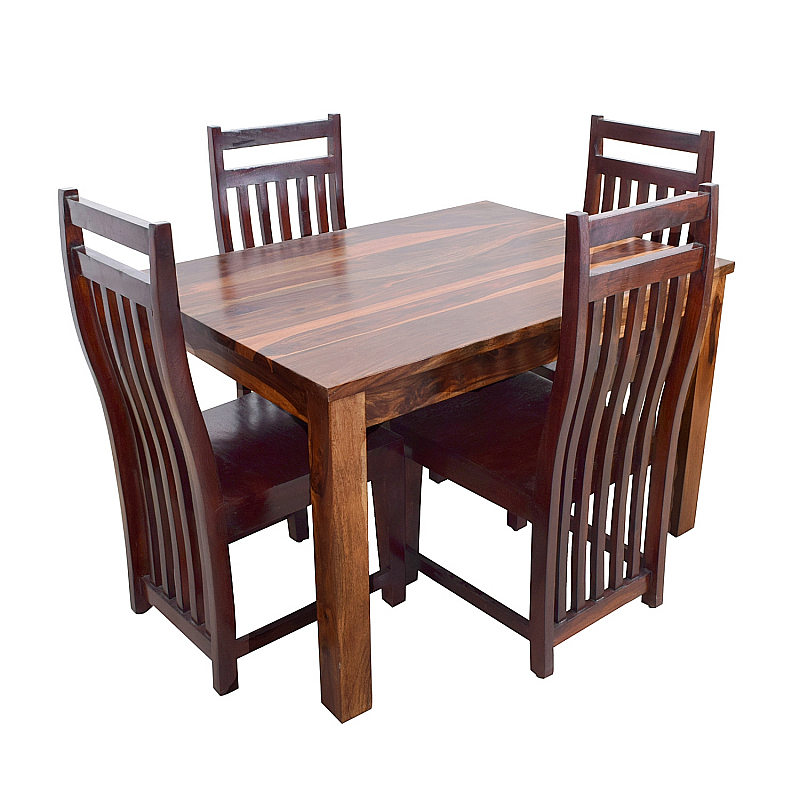 This compact yet ever elegant dining table is perfect for a not so big family. Enjoy cozy .. 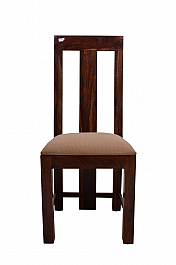 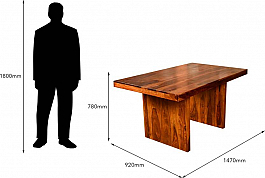 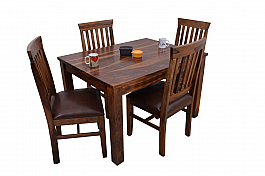 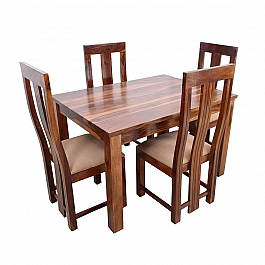 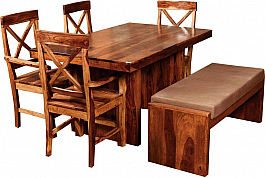 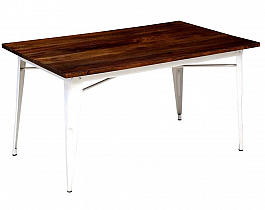 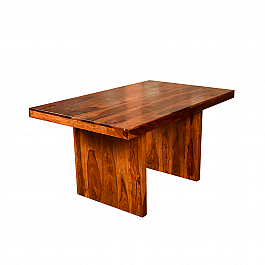 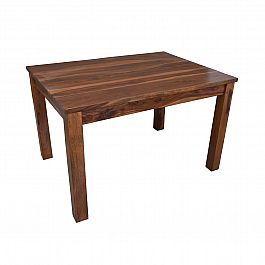 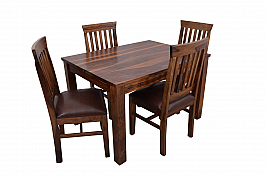 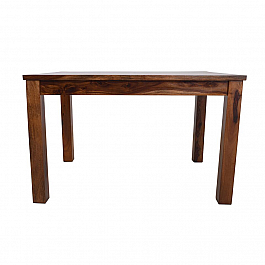 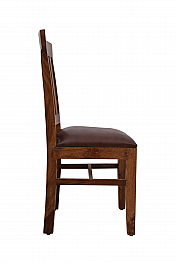 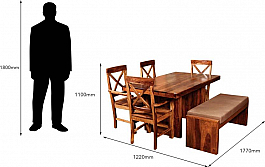 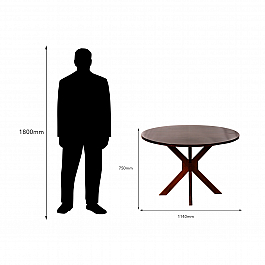 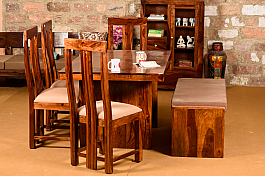 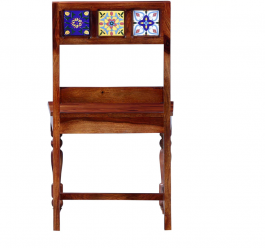 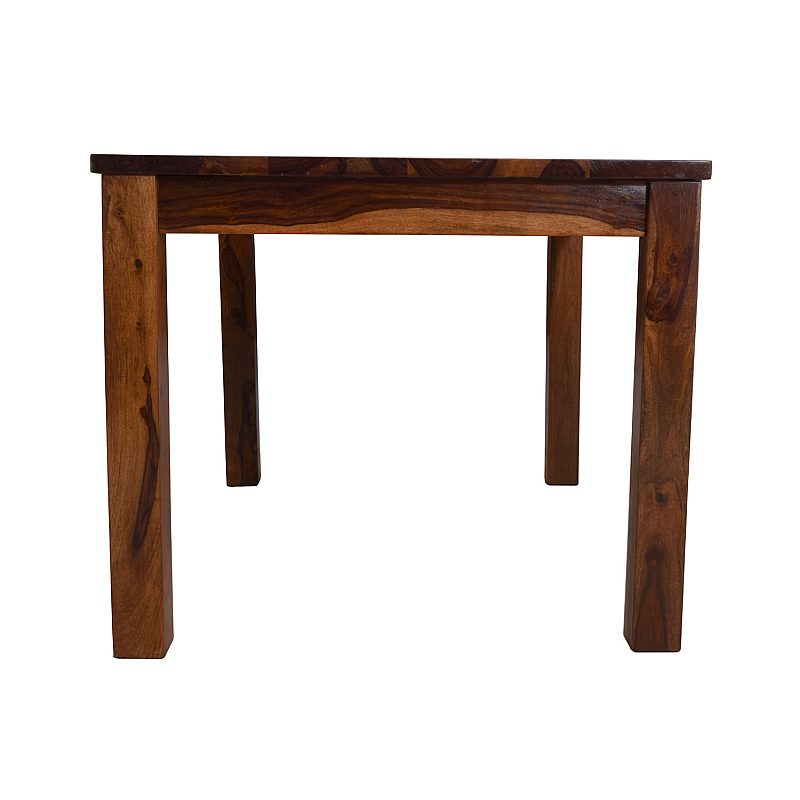 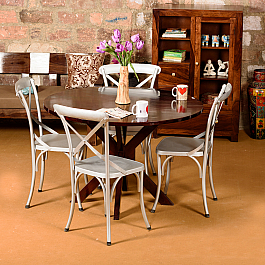 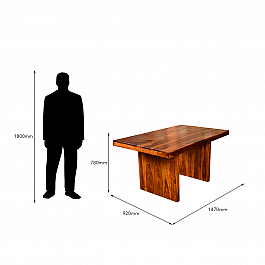 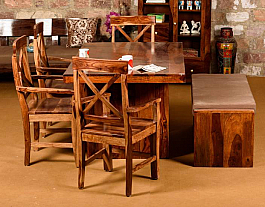 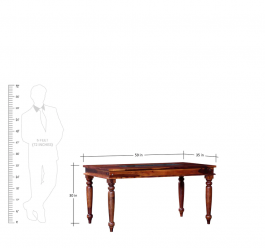 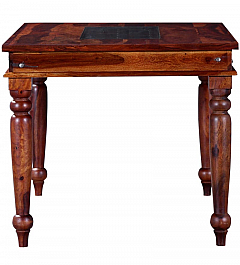 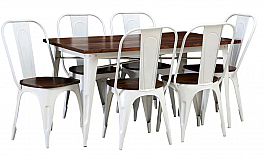 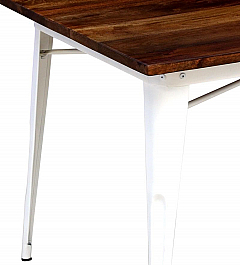 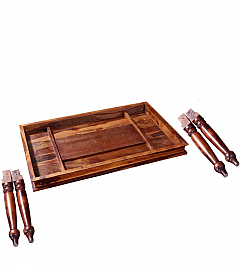 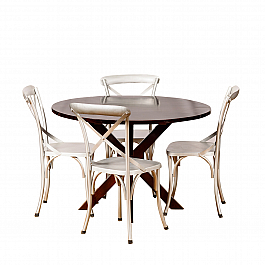 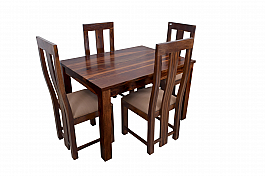 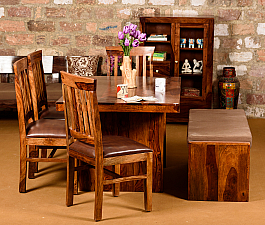 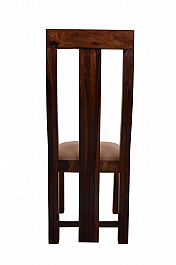 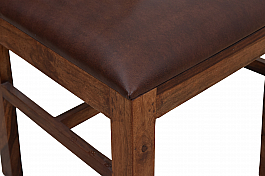 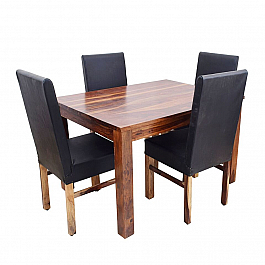 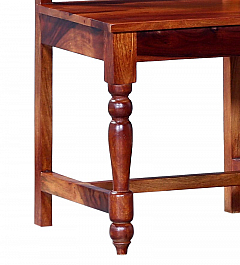 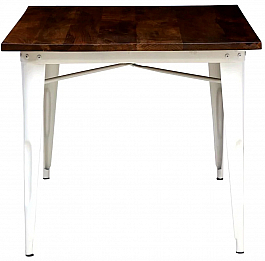 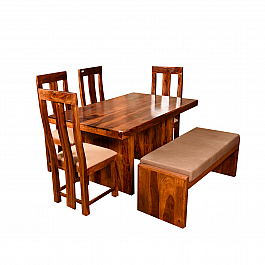 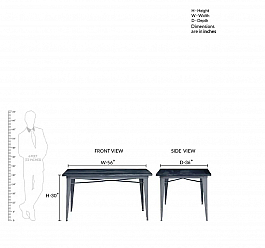 Solid and sturdy with comfortable seats, make this dining table the centre of family bondi.. 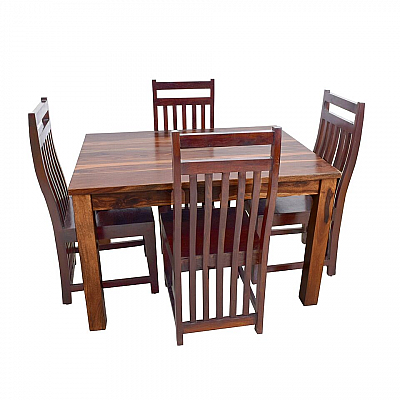 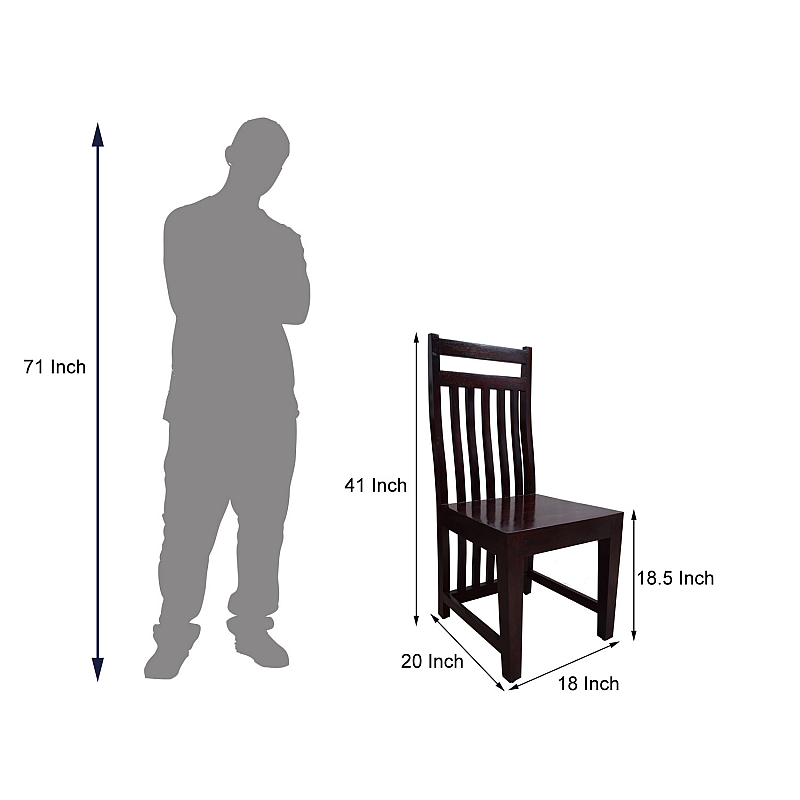 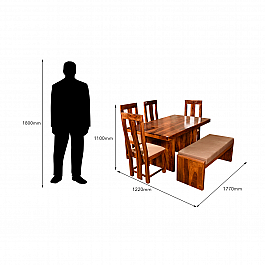 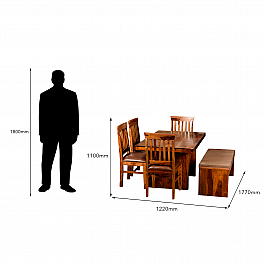 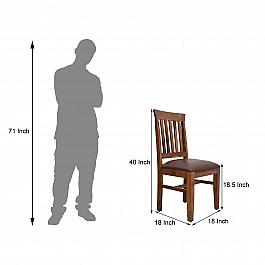 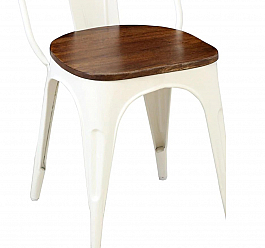 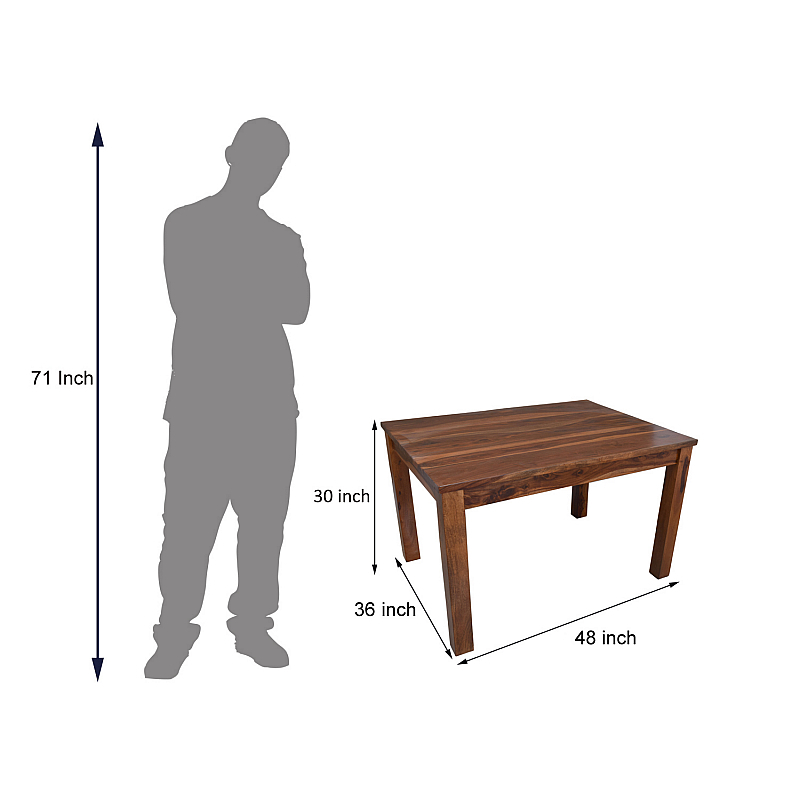 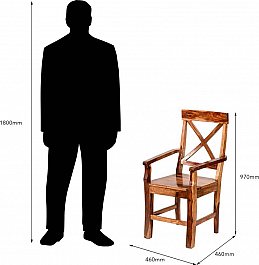 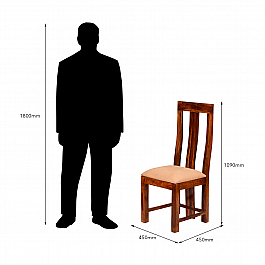 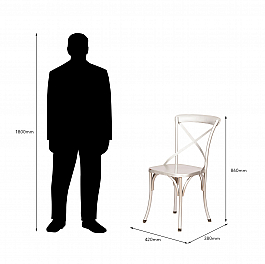 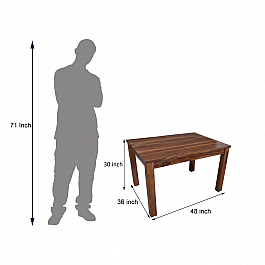 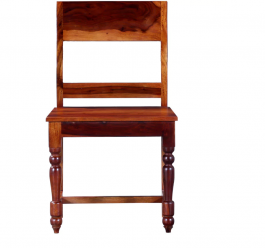 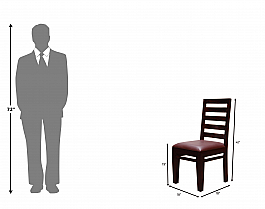 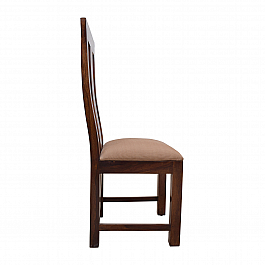 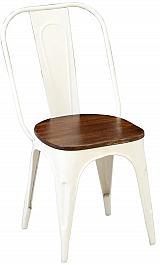 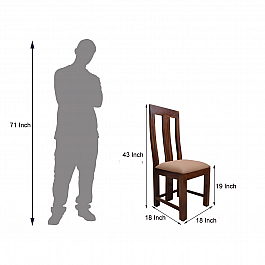 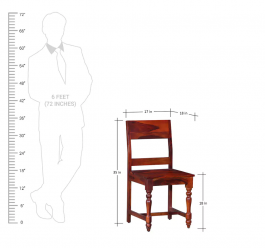 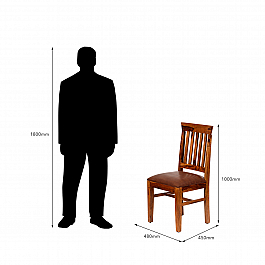 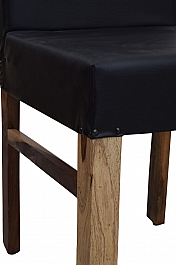 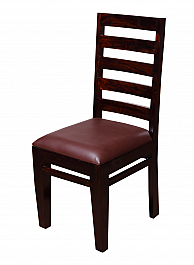 These short backed chairs give a clear view of what is on the table, accentuating your foo..
Chick n Check dining table set of 6 chairMaterial:-Table :- Legs in iron, Top in Acacia Wo..